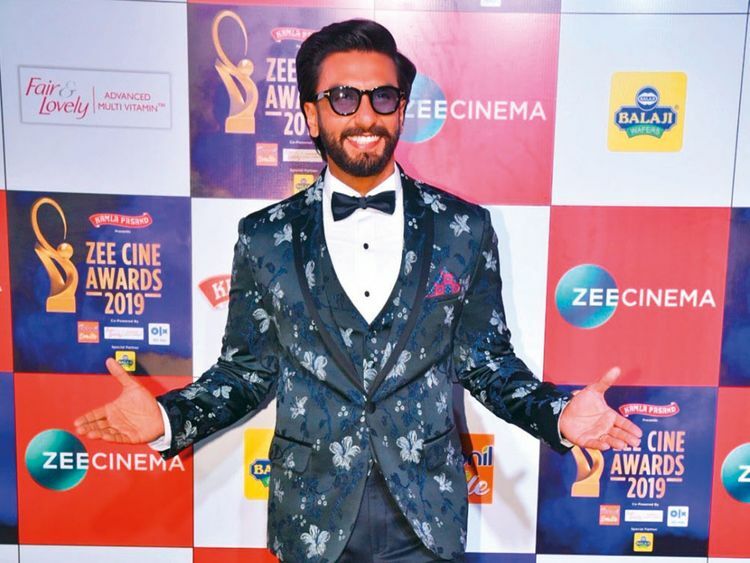 Actor Ranveer Singh has bagged the Best Actor in a Leading Role accolade at the Zee Cine Awards 2019. Singh won for his role as Alauddin Khilji in Sanjay Leela Bhansali’s ‘Padmaavat’. “Best Actor in a Leading Role! Zee Cine Awards,” Singh wrote on Instagram. Actress Alia Bhatt received the Best Actor (Female) Viewers Choice Award for ‘Raazi’ and dedicated her win to the film’s crew and cast. Actor Kartik Aaryan bagged the Best Actor in a Comic Role (Male) for ‘Sonu Ke Titu Ki Sweety’. Expressing his happiness over the achievement, Aaryan posted a few photographs from the gala on social media. In one, he can be seen standing along with his parents on stage while accepting the award. For Aaryan, sharing the stage with his parents was a “priceless moment”. Actress Katrina Kaif received an award for Best Supporting Actress. She was given the award by producer Boney Kapoor. Kaif even shared a glimpse from the award ceremony on her Instagram account. Actor Vicky Kaushal, who is riding high on the success of ‘Uri: The Surgical Strike’, won Best Supporting Actor (Male) for his role as Kamli in the biopic ‘Sanju’. Sonam Kapoor Ahuja was honoured with Extraordinary Icon for Social Change. The gala was hosted by Aaryan and Kaushal. Several celebrities such as Hema Malini, Deepika Padukone, Ranbir Kapoor, Janhvi Kapoor and Kriti Sanon attended the award ceremony. The Zee Cine Awards will air in the UAE on April 1 at 8pm on Zee Cinema.